Extend the life of expensive hardware with cooling systems designed for your needs. Cleanliness you can trust, even when operating alongside industrial equipment. 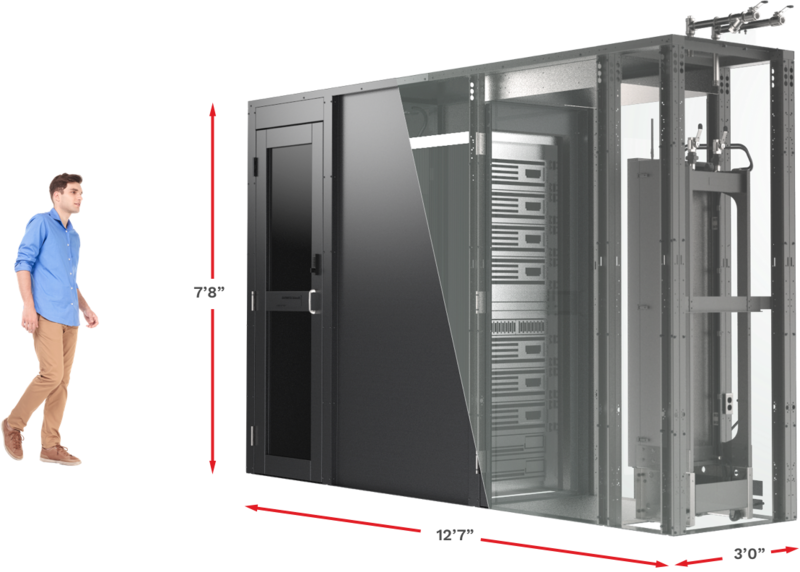 Streamline installation with enclosures that integrate with your existing equipment. 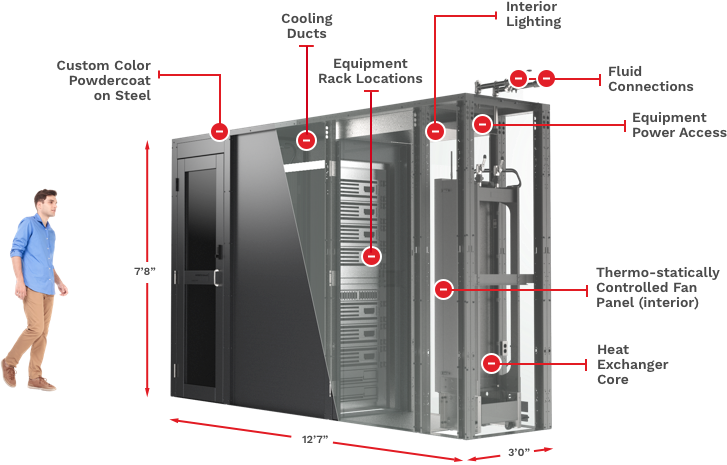 To provide the right level of cooling, your modular enclosure (or processes) needs to be connected to a fluid cooler, a chiller or both. Using cooled fluid, modular enclosures absorb heat from the environment and route the warm fluid through a fluid cooler or chiller to bring the temperature down and start the cycle again. To provide the right level of cooling, your modular enclosure (or processes) needs to be connected to a fluid cooler, a chiller or both.. Using cooled fluid, modular enclosures absorb heat from the environment and route the warm fluid through a fluid cooler or chiller to bring the temperature down and start the cycle again. Modular enclosures keep your up-front costs low. 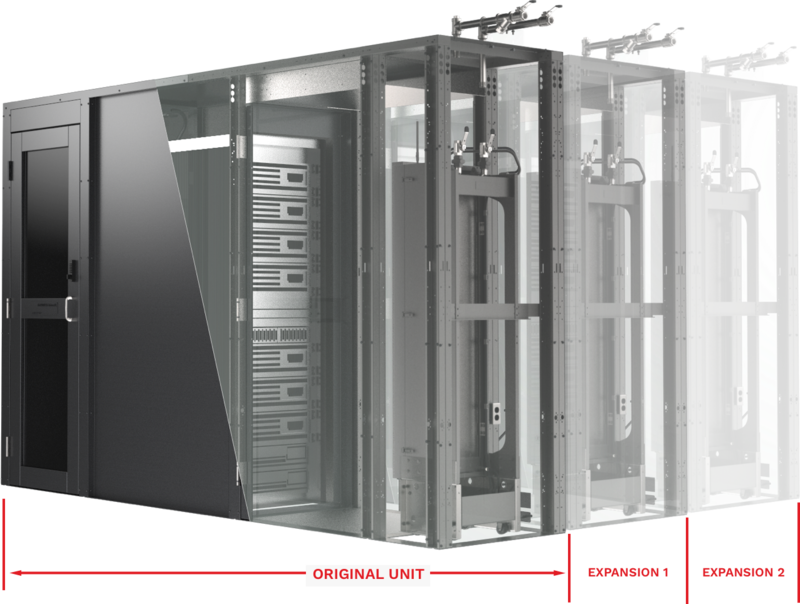 Start with the units you need right now and get the flexibility to expand your system as your computing needs grow.